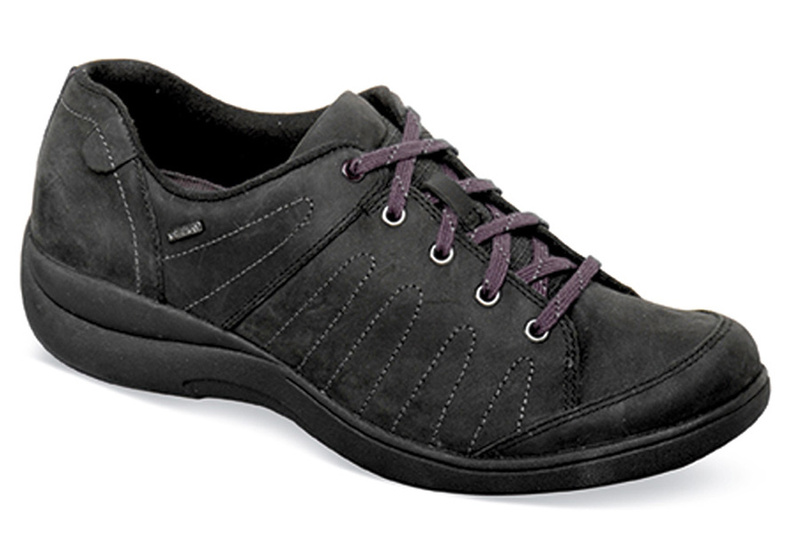 Aravon’s waterproof black “RevSavor” five-eyelet tie shoe is a great everyday casual with rocker profile and lightweight cushioning. 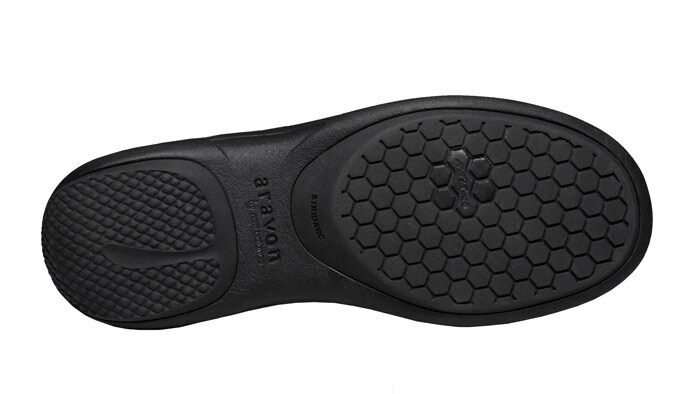 Its EVA midsole has rubber outsole pods for sure-footedness. Removable molded PU and Memory Foam footbed. Textile lining. Nylon shank. 1½ inch heel height. Women’s sizes 6½–10 in 2E width.